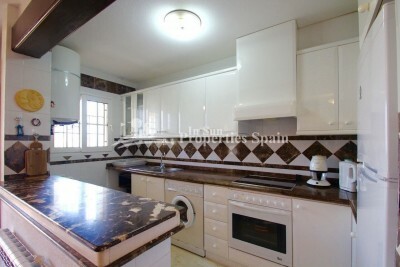 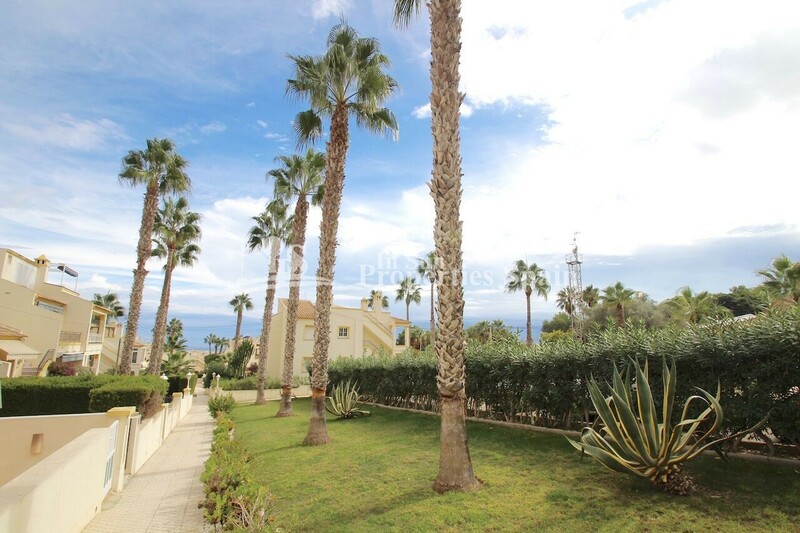 #REF: 6366 FOR SALE , Bungalow Buhardilla in Valencia Norte, Villamartin, Orihuela Costa. 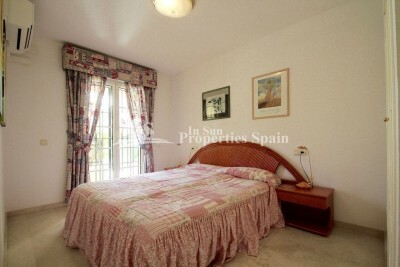 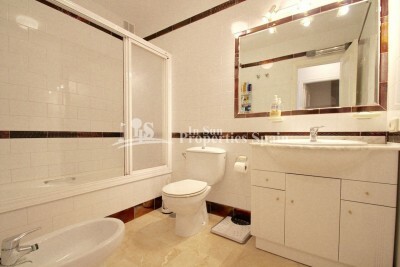 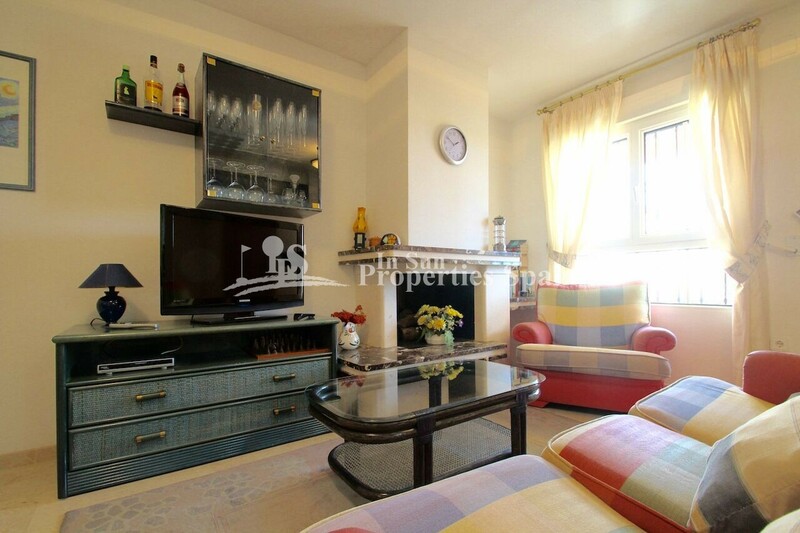 Close to Villamartin Golf Course and Villamaritn Plaza. 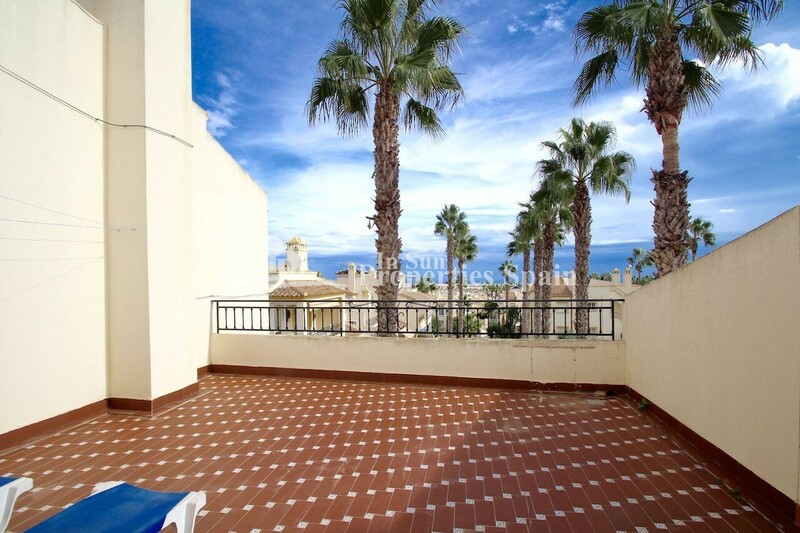 Only 3km from La Zenia Beach. 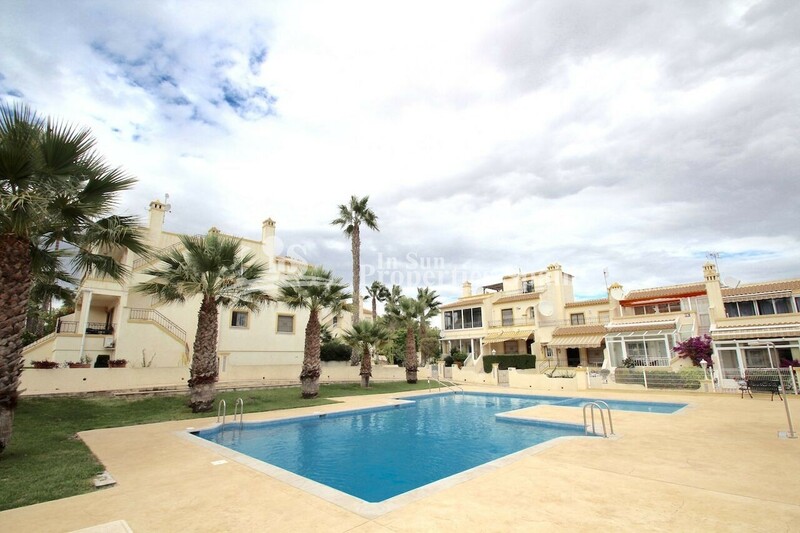 Located within the popular Urbanisation Valencia Norte, Villamartin is this superb 3 bedroom Bungalow Buhardilla. The 108m2 accommodation distributes over 2 floors and the ground floor offers open plan lounge with wood burning fireplace, dining area, American style fitted kitchen with breakfast bar, 2 double bedrooms and a bathroom. 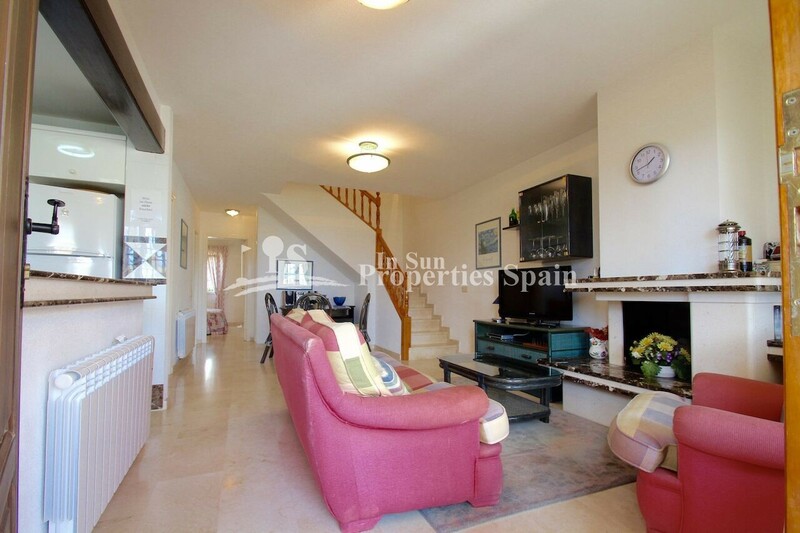 To the first floor you find a further bedroom with ensuite and access out onto the 35m2 sunny solarium. Externally there is a spacious garden and terrace perfect for relaxing, dining or entertaining family & friends. 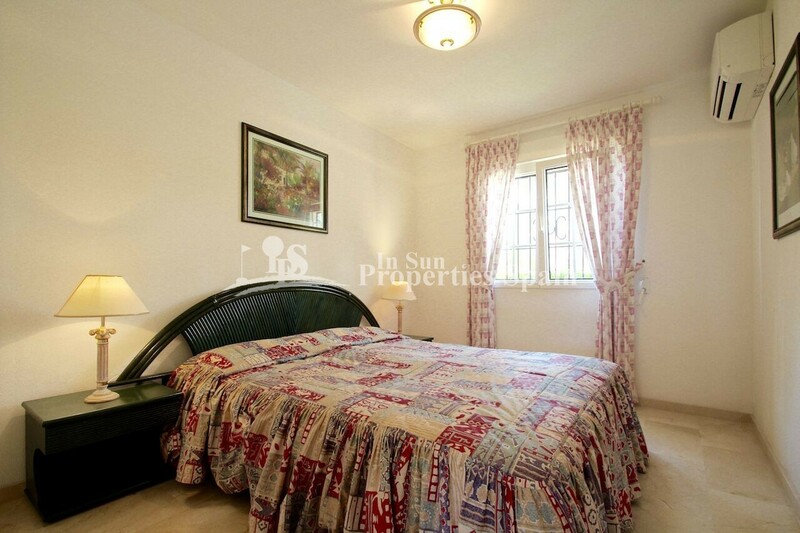 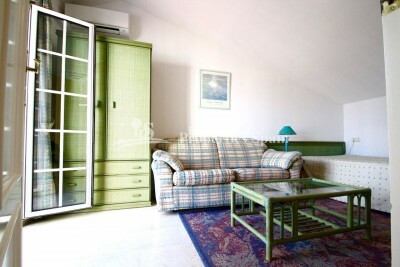 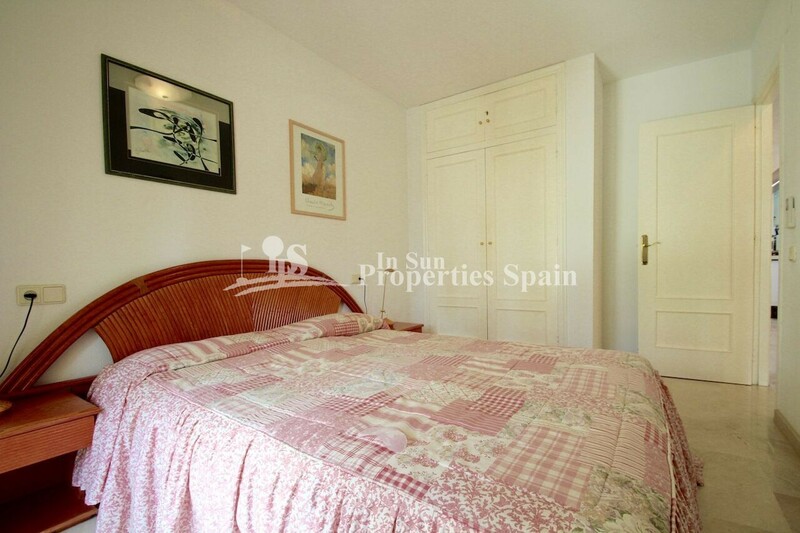 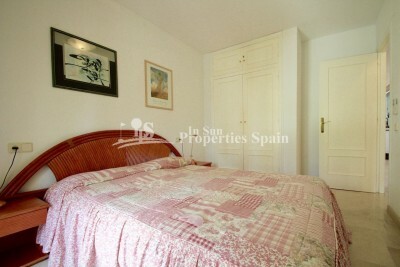 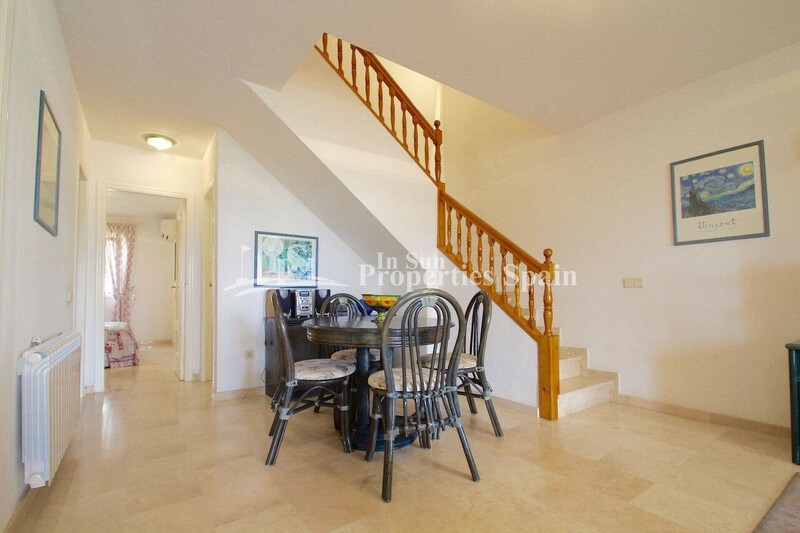 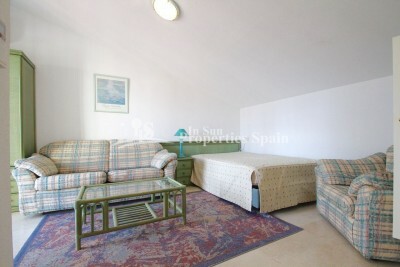 The property comes tastefully furnished with A/C and electric heating. 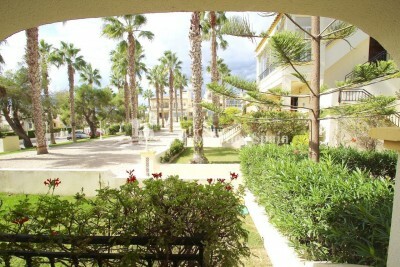 The community has a lovely swimming Pool and green areas. 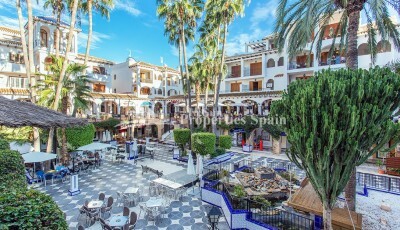 Within a short walk you will find Villamartin Golf Course and the commercial area of Villamartín Plaza – home to an array of bars, restaurants, Gama Supermarket, Natural health pharmacy and a small post room. 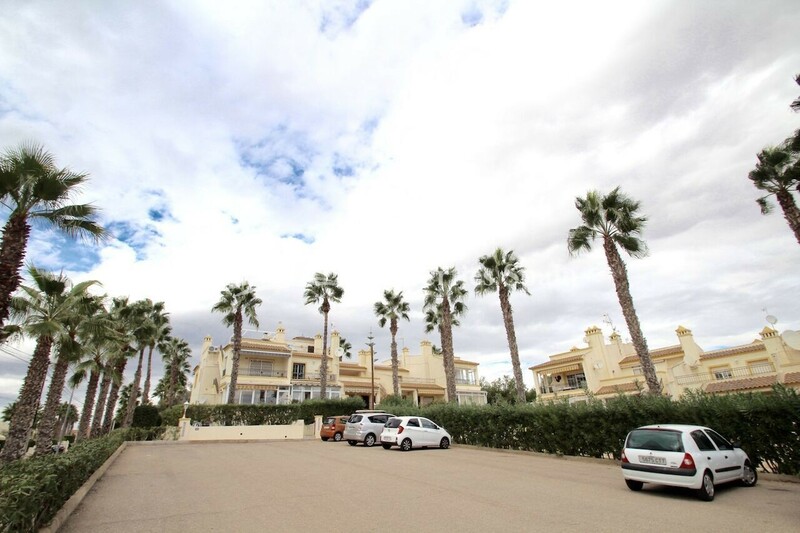 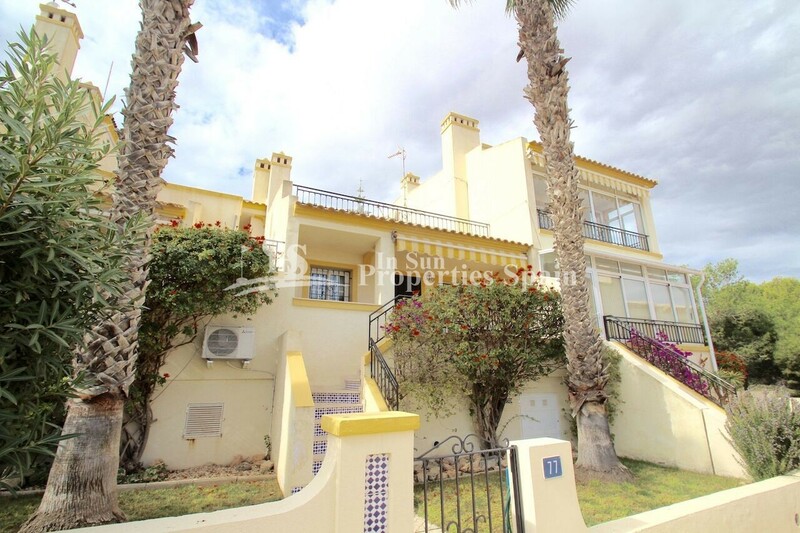 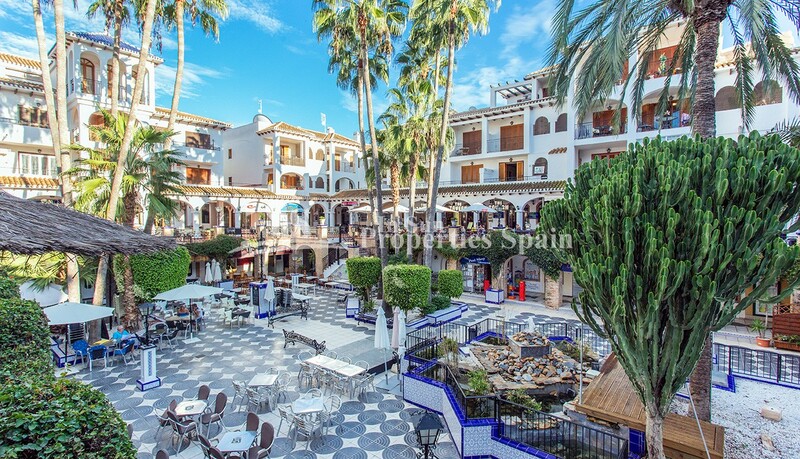 Villamartin is also very close to the well renowned international school of El Limonar and the famous La Zenia Boulevard shopping centre, the largest of its kind in southern Spain! 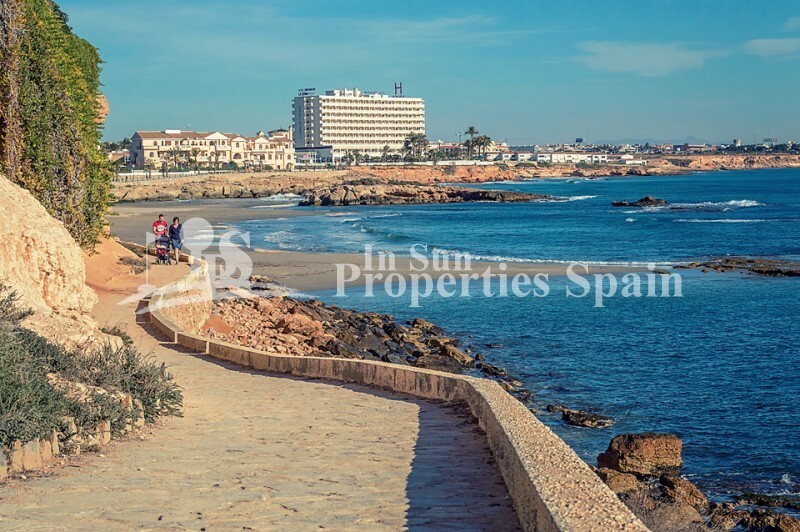 Within a short drive you can also find a large range of activities and entertainment for all the family; water parks in Torrevieja and Ciudad Quesada, some of the best beaches in the region, open weekly markets, cinemas etc. 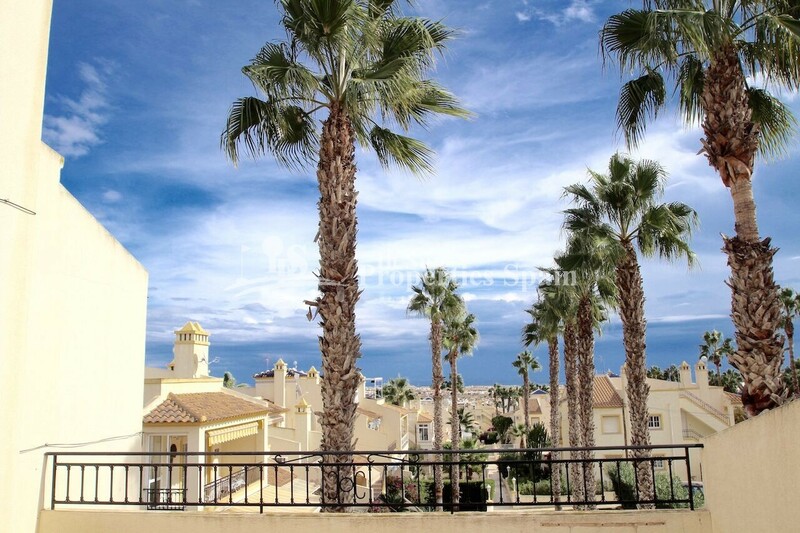 Villamartín is approximately 50 minutes from Alicante Airport and 30 minutes from Murcia, San Javier airport.